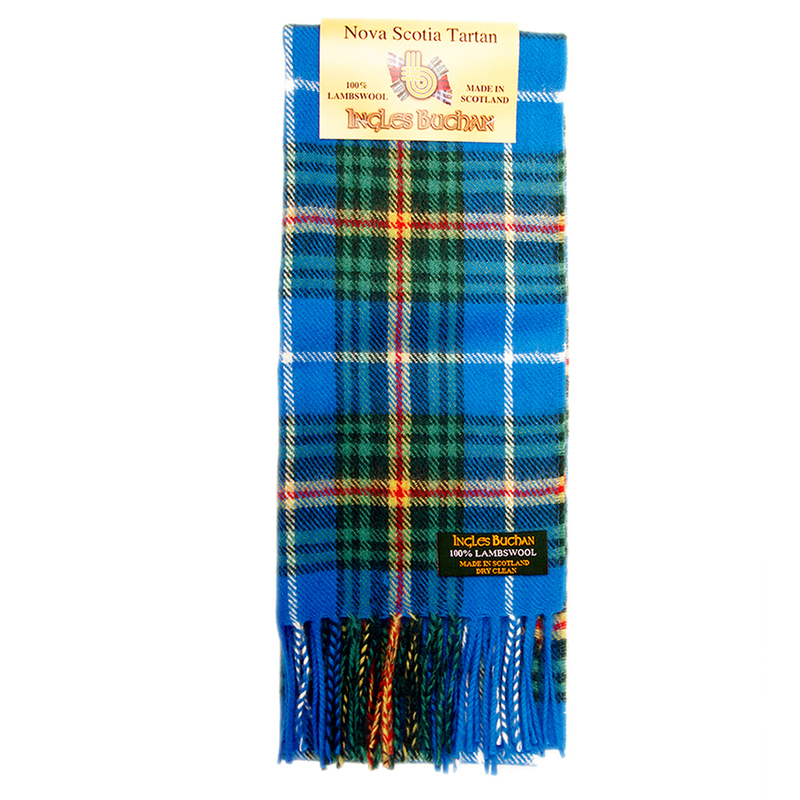 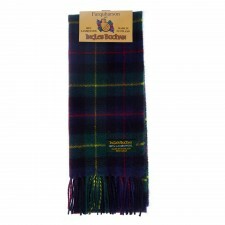 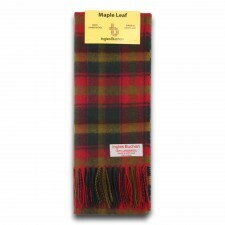 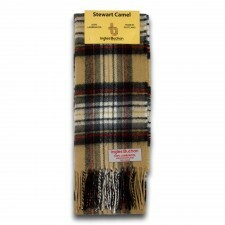 Wear your Nova Scotia scarf in style with this 'Ingles Buchan' wool scarf which means you can proudly display your heritage and be stylish at the same time. The Nova Scotia tartan represents the flag of the Canadian province dating back to the Charter of New Scotland in 1621 (represented by the gold band). 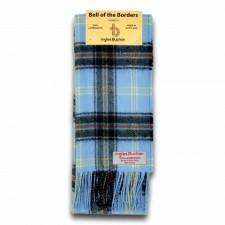 The colours tell their own story - blue for the sky, sea and lakes, green for the trees and white for the rocks and surf of the coastline.